Cyclops Print Works will be adding the remaining copies of their MondoCon exclusives to their site later this week. 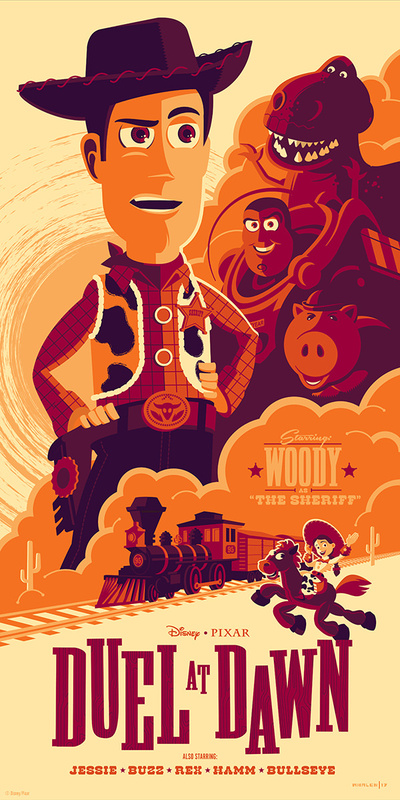 Duel at Dawn (Toy Story 3) Evil Dr. Porkchop Variant by Tom Whalen is a 12″ x 24″ screenprint and has an edition of 150. Beauty and the Beast by JC Richard is a 12″ x 36″ screenprint and has an edition of 70. These will be available Wednesday, November 22nd at a random time. Visit CyclopsPrintWorks.com.